The all-new Street Triple line up is without doubt the most exciting, dynamic, agile and intuitive performance street bikes we’ve ever made. Whether you’re looking for an addictive everyday ride or a full-on track weapon, with three options, the new Street triple S, R and RS delivers it all. Each come with their own unique tailor made level of power, performance, technology and suspension. 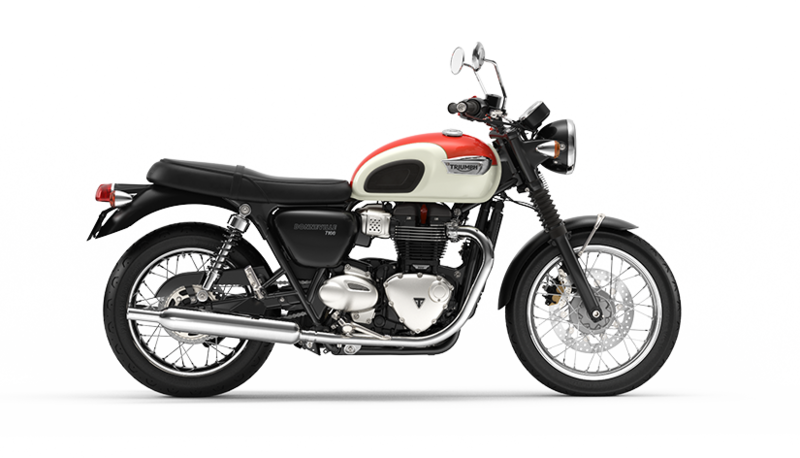 All backed up by Triumph’s legendary capability, confidence and agile control. Developed from the celebrated race bred ‘Daytona’ engine, the new 765cc Street Triple engine delivers a significant step up in power and torque. With more than 80 new parts including an increased bore and stroke, new cam, pistons and Nikasil plated aluminium barrels, the result is a spectacular advance in performance, particularly low-down and in the mid-range. Each of the new models come with their own unique 765cc engine set-up, ECU and tune, each tailored to deliver the character, power and performance best suited to the bikes style of ride and rider. The new engine set-up for the Street Triple S delivers more performance than the previous generation across the whole rev range, particularly low-down and in the mid-range. The ‘S’ tune provides up to 6.6% more peak power than the previous generation, increasing to 113PS @ 11,250rpm and a 7.3% increase in peak torque climbing to 73Nm @ 9,100rpm. The new Street Triple R’s dedicated engine set-up, with its own model-specific cam shaft, delivers even more power and torque across the whole rev range and low-down. The special ‘R’ tune increases peak power by up to 11.3% over the previous ‘R’ model, delivering 118PS @ 12,000rpm and peak torque of 77Nm @ 9,400rpm - a 13% increase on the previous ‘R’ model. The new Street Triple RS engine delivers the highest level of power ever for a Street Triple, making it the ultimate performance street motorcycle. Peak power has increased by 16% over the previous model, delivering 123PS @ 11,700rpm and peak torque has increased by 13%, providing 77Nm @ 10,800rpm. The new Street Triple has a revised airbox, providing much better induction sound on acceleration, for a deeper and richer Triumph Triple roar. The all new exhaust system delivers better performance and style, minimising its visual effect and reducing the bike's overall weight. And as if all that wasn’t enough, the Street Triple RS comes with an additional set of 3 more screen display styles, giving the rider a choice of 6 in total. The second set presents a more dynamic display theme and includes the option of a lap timer - exclusive to the ‘RS’. 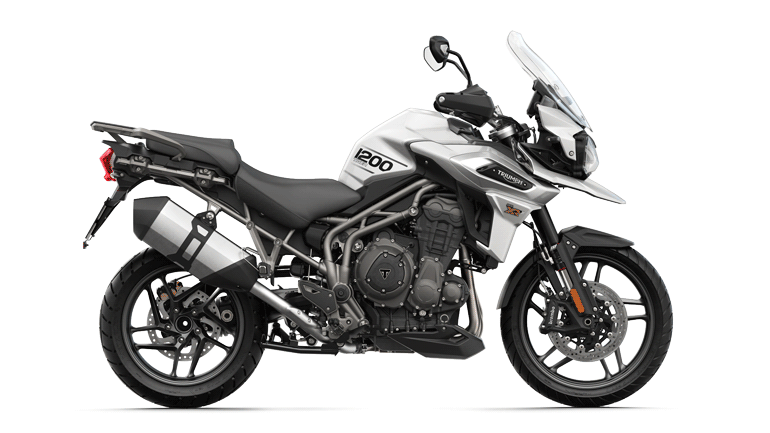 Linked to the ride-by-wire system the new Street Triples have much greater rider control with the introduction of riding modes which adjust throttle response, ABS and traction control settings at the touch of a button – either at a standstill, or on the move. The all-new on-board computer gives the rider access to all key information via the TFT screen. To navigate the new instruments on the Street Triple R and RS there are all-new switch cubes with an intuitive 5-way joystick control that have been ergonomically optimised to be easy to use - either on the move, or at a standstill. The latest generation anti-lock braking system brings a new level of control on all models. The ABS is also switchable on the Street Triple R and RS through the ‘rider’ programmable riding mode, which can be adjusted to suit (road and track modes) or turned off completely if desired. On the Street Triple R and RS traction control can be managed through the ‘rider’ programmable riding mode, by selecting the desired traction control setting – ‘road’, ‘rain’, ‘track’, 'sport' or ‘off’. The Street Triple R and RS feature a useful gear position indicator, accessible through the 5” full colour TFT instruments. The weight reduction combined with the new higher power 765cc engine delivers an amazing power to weight ratio that is key to the game changing performance of the new ‘Streets’ delivering a truly explosive, agile and exciting ride. An all-new gullwing rear swingarm has been specifically designed for the new Street Triple range, resulting in increased longitudinal torsional stiffness, combined with an engineered reduction in lateral stiffness. This maximises stability at the higher speeds achieved by the new Street Triples, for greater rider confidence and safety for a more natural resistance to compression of the rear suspension unit under hard acceleration. This delivers tighter corner exit capability and a more precise chassis behaviour, which can be felt on both road and track. 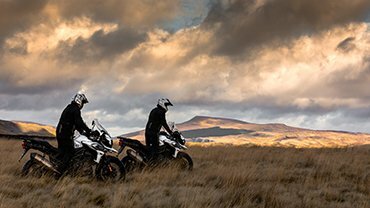 High specification performance tyres have been fitted to the all-new Street Triples to compliment their higher performance and sporting prowess. All of the new line-up maintain the Street Triple’s reputation for comfort and ridability with a truly accessible seat height. The Street Triple R Low Ride Height (LHR) version brings an even greater level of accessibility for every rider. The new Street Triple range takes the distinctive and dynamic styling of the original to a whole new level, incorporating more of the Speed Triple ‘nose down focused attitude’, with enhanced contemporary and aggressive lines, new bodywork, a new sportier twin-seat design and the highest level of finish throughout. 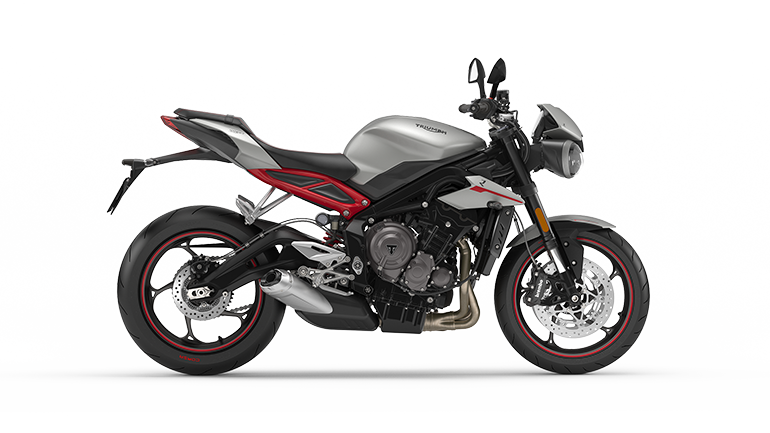 The new Street Triple range features all new more contemporary and sharper styled bodywork with stunning detailing, including new radiator cowls, front and rear mudguards and rear body panels. A new body colour matched fly screen has also been introduced, along with an integrated air intake, derived from the latest generation Speed Triple. This comes in two versions designed to suit the different rider and riding styles. On the ‘R’ and ‘RS’ models the fly screen has a more aggressive, sharper and sportier profile. On the ‘S’ model the fly screen has a more road focussed profile with greater aero protection. The Street Triple RS has an even higher level of finish with colour coded belly pan, colour coded pillion seat cowl with interchangeable pillion seat (as standard) and lower chain guard. The new Street Triple range is packed with high quality details, including new rider heel guards and forged pillion footrest hangers, giving each a more individual style. The new Street Triple S, R and RS have over 60 accessories available, allowing you to enhance your bike's performance, protection, style and detailing. Each accessory is selectable via the online configurator which allows you to try out different components and looks to create your own unique ‘Street’. 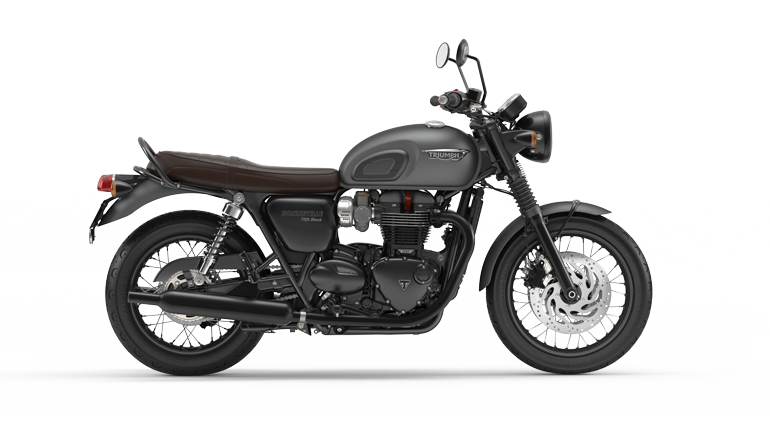 The new Street Triples' performance can be enhanced further with a range of accessories that include a quickshifter, Arrow exhausts* and adjustable brake and clutch levers. 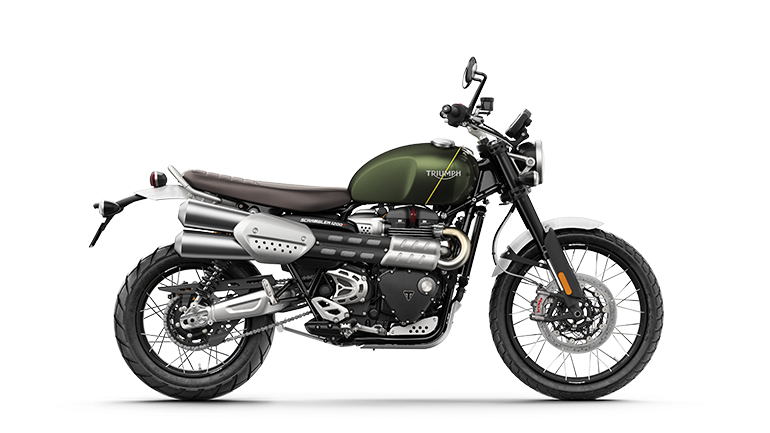 You can add additional styling and detail enhancements to the new Street Triples with stylish accessories that include a colour coded seat cowl and belly pan, LED bullet indicators*, rear clear LED light assembly, CNC machined front and rear brake reservoir and bar end mirrors. 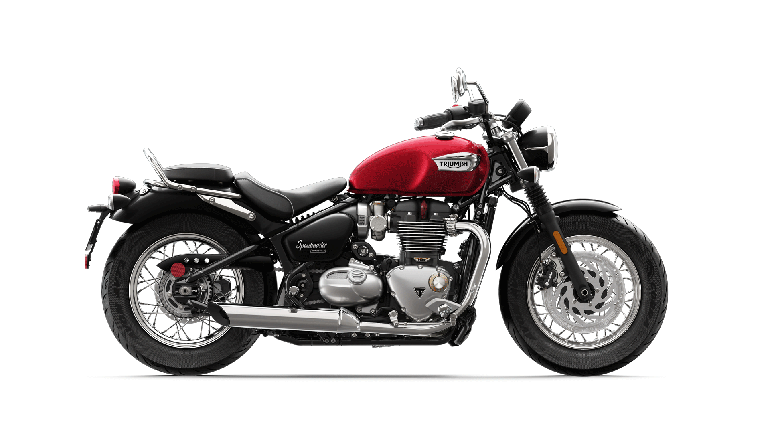 You can add extra protection to the new Street Triples with a range of accessories that include a swing arm protector kit, frame protector kit and lower chain guard. 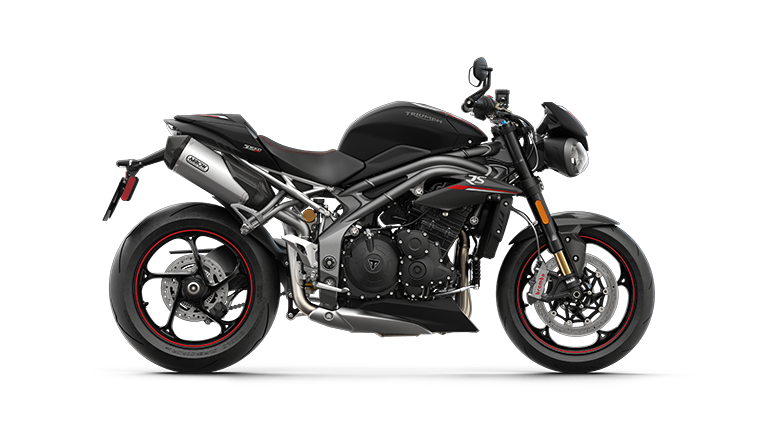 An A2 licence version of the Street Triple S is available – featuring a dedicated 660cc engine, providing all the ‘Street’ attitude in an accessible model for those riders who don’t yet hold a full motorcycle licence.